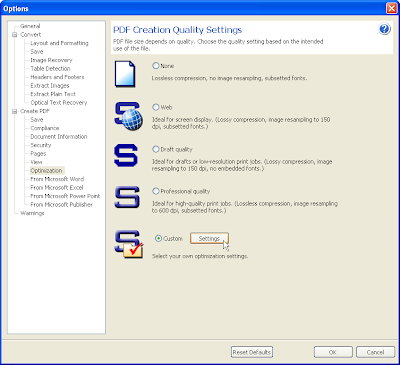 PDFs containing multiple images can quickly balloon in size. 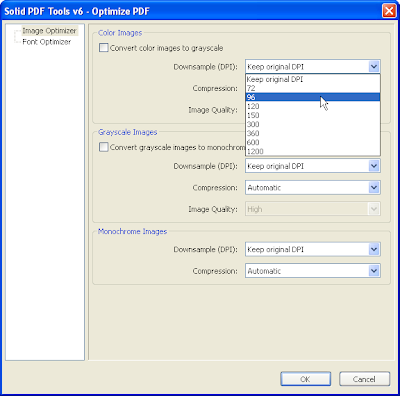 Using Image Optimization you can control image quality (and file size) throughout your document by specifying DPI and Compression for both color and gray-scale images. 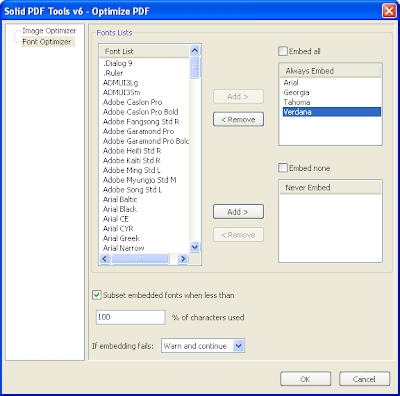 You can easily select specific fonts to embed in your document, or fonts that should not be embedded.